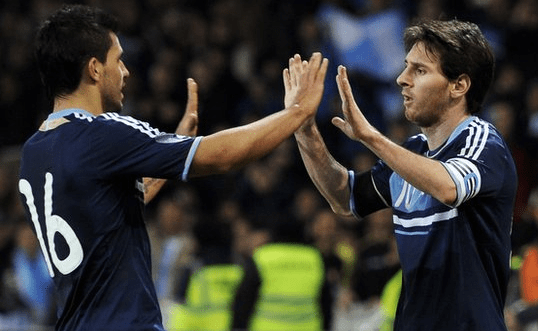 Can Argentina’s world class attack lead them to World Cup glory? An eternal favorites in the World Cup since the playing days of the legendary Diego Maradona, Argentina has not lived up to their favourites tag since they triumphed in 1986 in Mexico. But that hasn’t dented the quadrennial expectations of every fan of los Albicelestes. May be this year Argentina can make good on that hope. After their dismal performances in Germany 2006 and South Africa 2010, Argentina and her fans will no doubt expect a far superior show in Brazil 2014. The draw was quite kind for them and they are probably in most easiest group. Hence if Argentina doesn’t make it out of the group stage, it would definitely be considered as a national tragedy. Besides Nigeria, if Argentina doesn’t make any astronomical errors and Messi doesn’t forget how to dribble a football, the matches against Iran and Bosnia and Herzegovina should be foregone conclusions. Among all the contenders, Argentina probably has the most destructive frontline. Their coach Alejandro Sabella is so spoilt for choice in the attacking third that he could leave a world-class forward like Carlos Tevez out of his squad. Their frontline consists of players like Lionel Messi, Sergio Aguero, Gonzalo Higuain who can single-handedly take the game away from the opposition . No finalist has created more of their goals from the centre of the pitch than Argentina in the qualifiers, who carved out over three-quarters of their goals without even resorting to the wings. They like to hit their opponents early, and once ahead they tend to stay there: only four out of their 31 fellow qualifiers retained a greater share of points from winning positions. It seems that Argentina is a firm believer in the quote “attack is the best form of defence”. Yet despite having probably the most promising front line among the World Cup contenders, their defence is definitely a couple of notches below their rivals. Despite topping their qualifying group, Argentina surprisingly only managed to keep a clean sheet in a quarter of their matches: a smaller proportion than any other Brazil-bound team. Barring Pablo Zabaleta and to an extent Ezequiel Garay, none the players in their backline has proven their worth at the highest level. To top it all off, their goalkeeping department is also somewhat out of shape. Arguably the best player in the world, and some say of all-time, Lionel Messi will carry the hopes and expectations of his entire nation on his small yet strong shoulders. If the Messi who plays for Barcelona shows up in Brazil, he will not only be A player to watch but THE player to watch out for. The pint-sized powerhouse has won four FIFA Ballon d’Or awards and helped his club win two Champions League titles, but so far has yet to make an impression at the World Cup, something he will surely want to rectify in Brazil. This season though was very ‘un-Messi-like’ to say the least, even though he racked up 36 goals in equal number of games, yet he failed to create that unique magic that we have all seen and loved over the years and therefore for the first time in six years found Barcelona without a major trophy. Hence it’s a given that the biggest little man in the beautiful game will most definitely try his level best to answer all his critics and deliver an outstanding performance in this edition of the World Cup. Playing the Robin to Messi’s Batman, the French-born Higuaín will need to continue the offensive output he had in qualifying rounds scoring nine goals, second only to Messi. The 26-year-old’s summer move to Napoli from Real Madrid appears to have done him wonders. Even though he racked up a decent 121 goals in his seven seasons with the Los Blancos, Higuain never cemented his spot as a regular starter. But now he has achieved that feat in Napoli, where he is the team’s top scorer. A clinical striker, Higuain has a decent record with his national team. He was Argentina’s top scorer in the 2010 World cup with four goals which includes a hat-trick against South Korea . With the advent of the world’s most expensive player Gareth Bale and Carlos Ancelotti’s 4-3-3 system, many thought that Di Maria’s career in Real Madrid was all over. But those people could not have been more wrong ,the lanky winger adapted himself perfectly to his new and alien role as a creative midfielder. His pace, dribbling abilityand long balls helped Real Madrid unleash those devastating counter attacks which rendered his opponents motionless and stunned. The attacking midfielder shone brightest at the recent Champions League Final between Real Madrid and Atlético Madrid. It was his blazingly fast run up the left flank and his shot that ricocheted off the hands of Atlético keeper, Thibaut Courtois, and straight to the head of Gareth Bale for the winning goal. If Di Maria carries forward his Real Madrid form then we can most certainly expect great things from Argentina this time. Like Brazil, Argentina also has the added advantage that the World cup is being played in South America which makes it all the easier for them to adapt to the conditions. Most of the European will find it really difficult to cope with the hot and humid conditions in Brazil. Hence if Argentina’s forward line performs to their immense potential and they manage to keep a steady backline, it won’t be surprising to see Lionel Messi finally lift football’s most prestigious trophy.